is a national public television series showcasing singer-songwriters performing “in the round” before a live audience. The show blends interviews, spontaneous on-stage interaction, and special features. Taped at the Peggy R. McConnell Arts Center of Worthington, Ohio, and other select venues, the weekly program is distributed by American Public Television to more than 250 stations coast-to-coast. For national airing schedules, check local listings. Eric is an award-winning songwriter and television journalist. He and his work have been featured on media around the world. He is a recipient of the Ohioana Citation for Music Composition, joining Michael Feinstein (American Songbook), Jorma Kaukonen (Jefferson Airplane), and Chip Davis (Mannheim Steamroller). Eric’s songs embrace expansive subjects and tones, from inspiring anthems to humor. 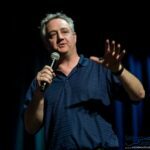 Also a memoirist and keynote speaker, Eric performs for audiences across the country, from concert halls, to convention centers, to small clubs, including regular appearances at Nashville’s iconic venue for songwriters, The Bluebird Café. 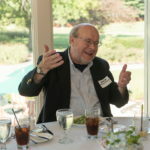 As a journalist, Eric earned an Emmy nomination for his retrospective on the 1972 Munich Olympic massacre, produced in Europe for American television. As a speaker and songwriter, he headlines and keynotes conventions across America. Also a memoirist, he received his MFA in creative writing from the Rainier Writing Workshop at Pacific Lutheran University. His latest CD is Songs of Hope in a Changing World. Jack has developed business and marketing plans, and hired key personnel for dozens of major broadcasting companies nationwide. He has provided expert testimony in several entertainment industry-related court cases and has also been the owner of a successful radio station, president of a chemical manufacturing company, and a consultant to interesting projects in fields as diverse as Publishing and Banking. Very early in his career, after earning a BBA in Marketing from Kent State University, Jack was a highly rated drive-time Air Personality and/or Operations Manager at radio stations in Cleveland, Milwaukee, Atlanta, and Columbus, Ohio. Before leaving radio and moving on to other challenges, Jack was named Billboard Magazine’s Large Market Program Director of the Year, and had taken home two top awards from the New York International Radio Festival. A licensed pilot with a seaplane rating, and for many years, a licensed pyrotechnician, Jack has driven in two Alcan 5000 Road Rallies and once rode his motorcycle to the Panama Canal, just for the heck of it. Andy is the Director of Operations at the Peggy R. McConnell Arts Center of Worthington, and also serves as Technical Director for McConnell’s Bronwynn Theatre, the active, intimate home to Songs at the Center. Andy has 20 years experience producing special events, including hundreds of concerts for national acts, corporate functions, fund-raisers, and several events for the White House. Prior to that, Andy spent several seasons with the Columbus Chill hockey team, and for 17 seasons was in the control booth on game days for Major League Soccer’s Columbus Crew. Originally from Salem, Ohio, Andy graduated from The Ohio State University and has made Columbus his home. 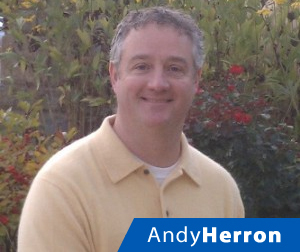 When not working, Andy enjoys scuba diving, water skiing, hiking, reading and watching sports. Alan founded Alba Productions in 2000, specializing in creating demos and portfolios for music and music-related artistic endeavors. He also extends his talents into professional sports, working on the game-day production teams of Major League Soccer franchise, The Columbus Crew, and the National Hockey League’s Columbus Blue Jackets. He is also an active, performing musician.